Home / Charity Run / Double A / Media Launch / Press Conference / Press Launch / Presscon / RG Events / Running Event / Team Runner Rocky / The Pink Run / The Pink Run 2016 / The Pink Run 2016 Media Launch / Media Launch: Team Runner Rocky Supports "The Pink Run 2016: D'Feeting Breast Cancer"
Media Launch: Team Runner Rocky Supports "The Pink Run 2016: D'Feeting Breast Cancer"
Yours truly Runner Rocky and his very own blogging and events team, the Team Runner Rocky once more supports another charity running event. This time, it's a fun run in defeating the breast cancer called "The Pink Run 2016: D'Feeting Breast Cancer!" 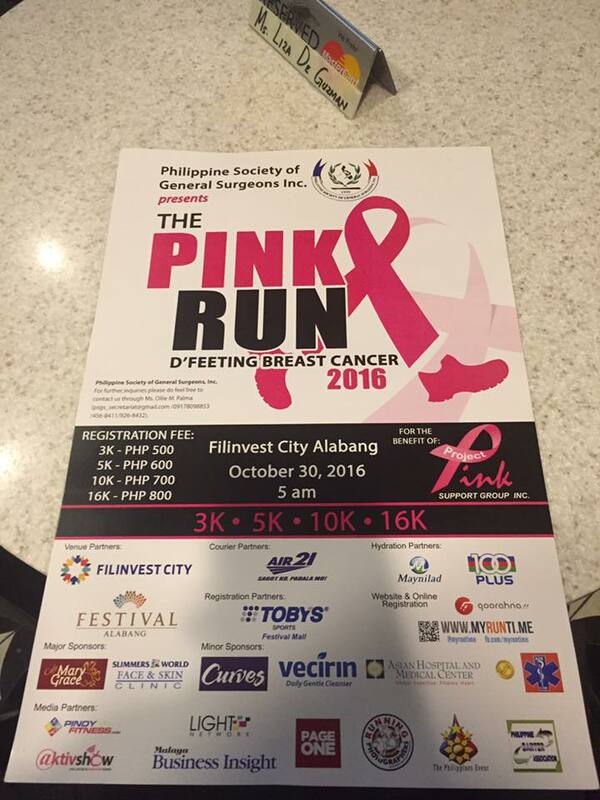 The event will be on October 30, 2016 at the Filivest, Alabang with categories of 3K, 5K, 10K, and 16K respectively! 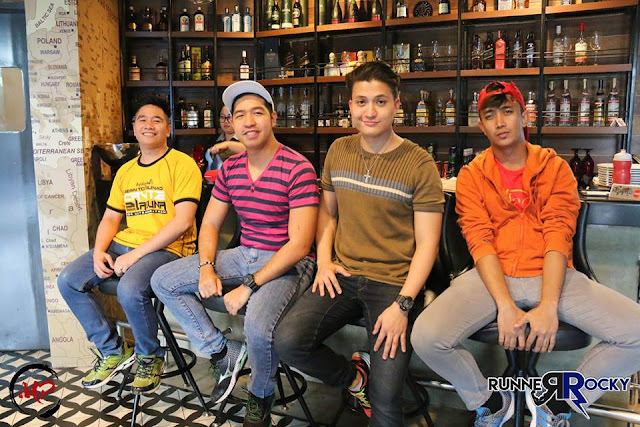 During the Media Launch held last October 20 at the Red Kitchen restaurant in Alabang, representatives from the Philippine Society of General Surgeons Inc. such as Dr. Rollie who is a a DLSU Clinic doctor discussed more about the race. In my exclusive interview with the doctor, Dr. Rollie revealed that this fun run will be held simultaneously at the different venues in the country such as in Cebu and in Davao. The event is now on its fourth year which aims to defeat the breast cancer, the major cause of the women's death in the country. Registration fees are Php500, Php600, Php700, and Php800 for the four categories mentioned above. 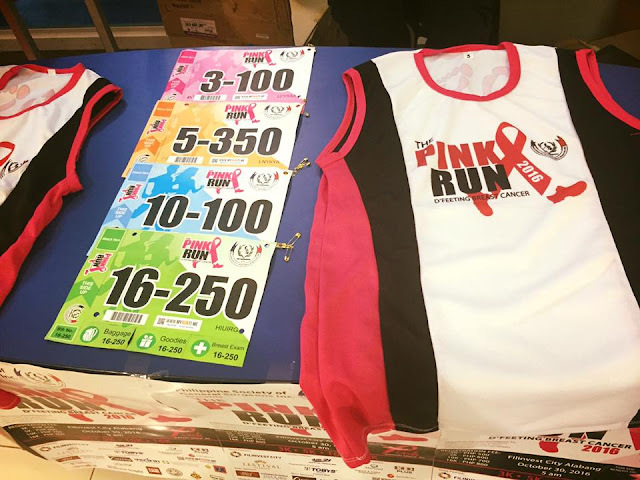 You may register onsite via the different Toby's Sports branches such as in Festival Mall, Alabang, SM Mall of Asia, SM Megamall, and SM North Edsa The Block. 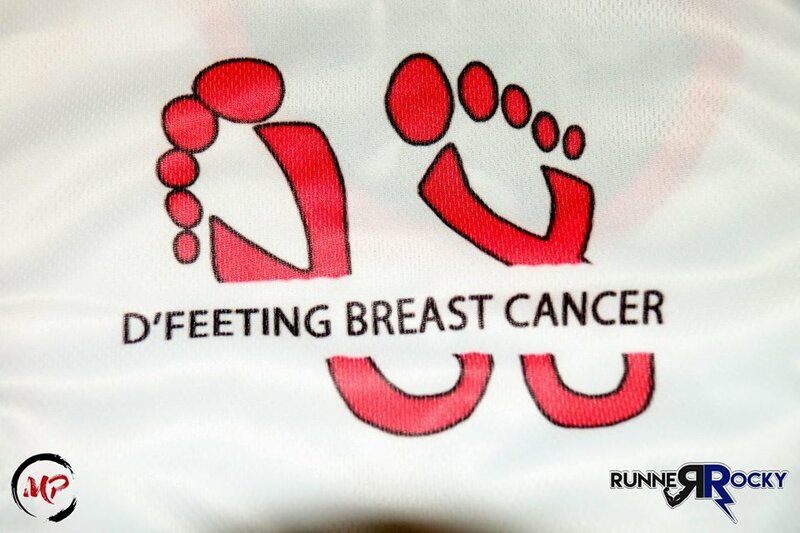 Online registration is also available via goohana or via our website here in Runner Rocky. 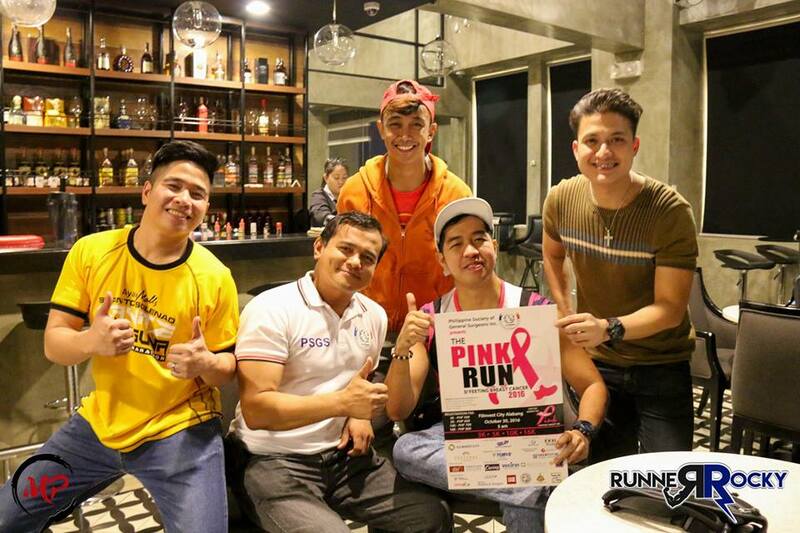 Runner Rocky and my team, the Team Runner Rocky are very happy to support different charity runs like this! Proceeds will be donated to save the lives of the cancer patients and for the prevention of the said disease. 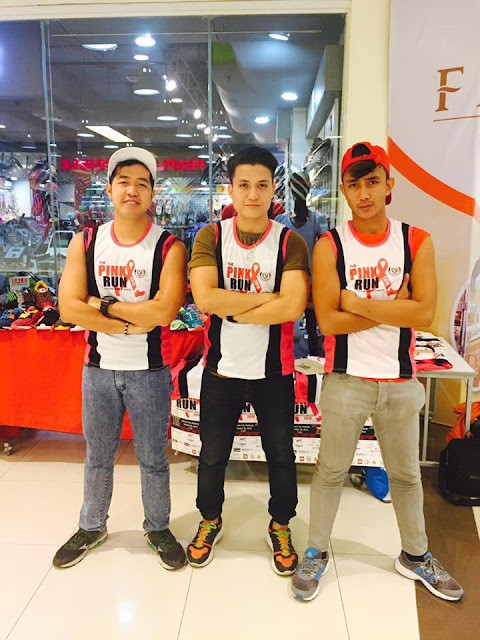 And we are also proud models / ambassadors of this charity running event. 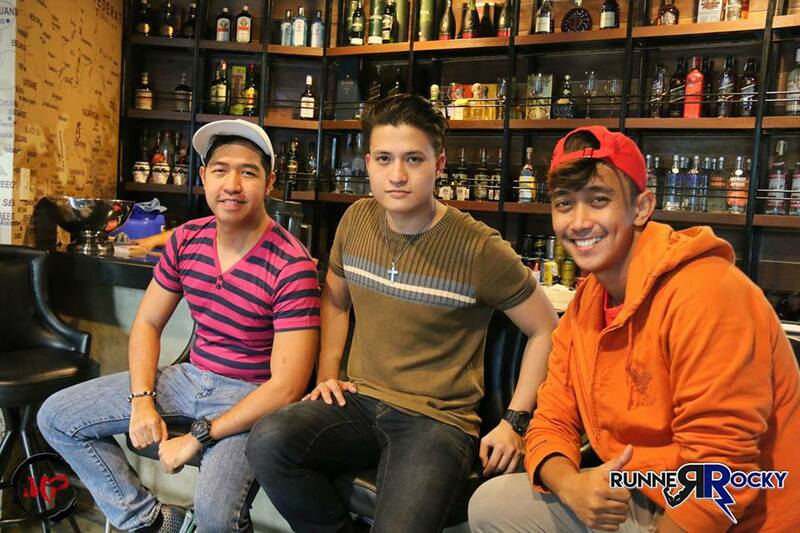 Aside from our promotional photos below, we even created our own VTR or TVC (TV Commercial like) video spiel in promoting the race which I will share on my upcoming post.